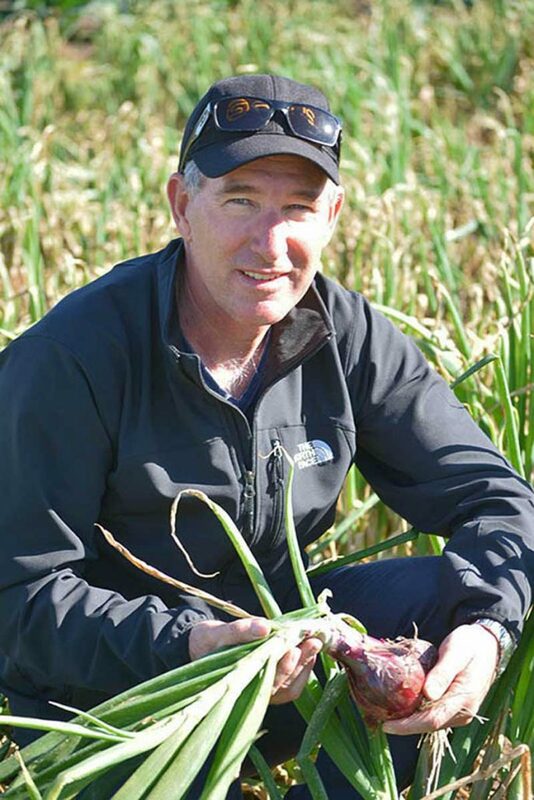 In September 2016 I took on the role of Chairperson of Onions Australia. I firmly believe in the work this organisation does to improve and promote our industry, and it’s an honour to represent the sector. As well as my role with OA, I also sit on the Onion Strategic Investment Advisory Panel. I do this because I want to help deliver opportunities for growers to better their bottom line and explore possibilities both in Australia and overseas. The 12 members of the OA Executive Committee all come from different backgrounds – from growers, to wholesalers, researchers and representatives from various seed companies. We all have a common goal: the betterment of our industry and a shared desire to represent the interests of everyone involved in the sector. I’m incredibly proud of my farming heritage, and the lifestyle it has afforded to me. My wife and I have raised our three children on the same family farm at Swan Hill in Victoria, that I grew up on. We purchased it from my parents in 1995, and today our two sons are working on the farm full time with me and our daughter plays a key role during the busy harvest season between studies in Melbourne. We currently run 80 acres of short-day onion production, as well as growing broccoli and beetroot. I look forward to working with you throughout the term of my chairmanship. Have an issue, concern or just need to have a yarn? Email Peter.